I have a perfect for back to school adjective lessons to share with you today. The culminating craft for this concept super adorable, too! Have you heard about colleagues in some districts getting into hot water for doing too many crafts? In this day of rigorous testing and expectation, there just isn’t time to do crafts just for the sake of cuteness. Some admins are really cracking down on it. I’m all for rigor and standard-based lessons. However, I do feel our kiddos need to cut and paste. They need to assemble and use some “higher-level thinking” to figure out how things go together. I think they work best as part of a “bigger picture”. The kinesthetic and visual activity is a vital part of cohesive learning and concept mastery. In my classroom we’ve been working on adjectives. 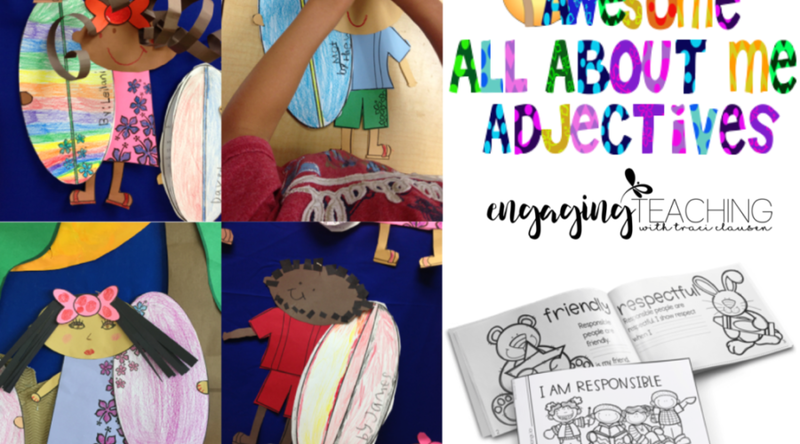 Last week we had a few mini-lessons regarding adjectives that ended with the kiddos demonstrating their adjective schema by completing a couple adjective activities. Since it’s the beginning of the school year, we’ve been talking a lot about responsibility, character, The Golden Rule, and emotions. Pairing all of these social study concepts with adjectives makes a whole lot of sense. Our lessons included reading plenty of books and lots of adjective discussion. This book is absolutely PERFECT for discussing adjectives. Kevin Henkes uses plenty of memorable and descriptive adjectives in this story. So we worked on it. “What ONE word tells about her coins?” They would answer “shiny” and “jingly”. After I began writing those single words on the chart, their answers began to improve without a ton of prodding and prompting from me. On another day I read my class this little cutie. This book has a completely different type of adjective. These adjectives about internal feelings, although relatable, are a little more complex. Again we made a chart, but this time listed “feelings and character”. Doing this made it a little more easy to explain to the kiddos that adjectives are generally intangible words. “Angry can describe how someone feels, but we cannot HOLD it.” “Fuzzy is how something might feel when we touch it, but we cannot hold fuzzy.” etc. This helps to separate adjectives from nouns and demonstrate how words fit into different categories. For the culminating activity for our adjectives unit we applied these adjective recognition and naming skills to ourselves. I use a color-code method to help my new writers complete extensive fill-ins that most are not yet ready to read independently. 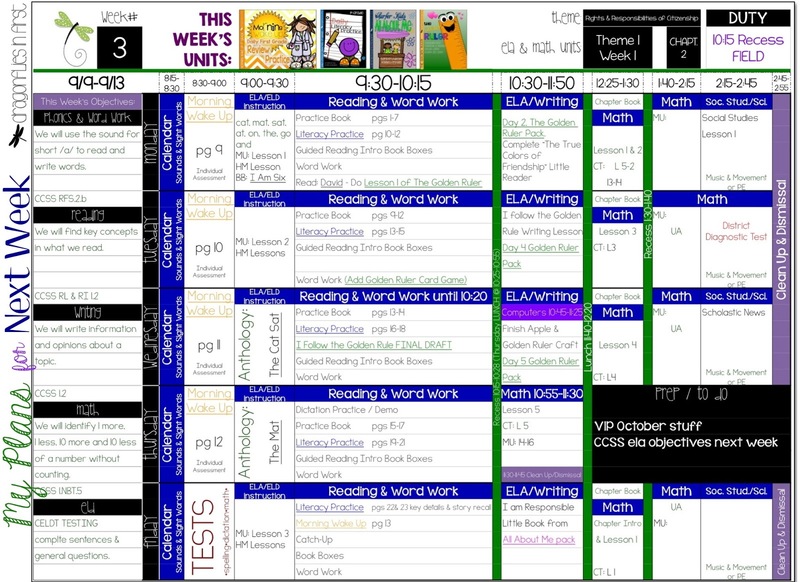 The same page on which they are working is displayed on the board. I choose a color marker to highlight the area we are going to fill and then use that same color marker to create a list of ideas. After suggesting a few ideas the kids begin to give me a few of their own. They all get written on the board. I then move on to the next fill-in – select a different color – highlight it and create another list in that color. I do this for one simple reason. This is not exactly a group-write. The kids can use their own choice of words to do the fill-in. Some write fast. Some write quickly. So having the ideas and fill-in area color-coded helps keep everyone on track. Using different colors to help students stay on “the same page” during group write activities is a definite must with these little kiddos. At this point I want to display and celebrate this gained knowledge. We’ve discussed, shared, demonstrated and written our new schema. Now it’s time to put it all together, coupled with our own creativity. This element of personalizing your knowledge helps encourage ownership of it. Fabulous adjective application! (However, mister – YOUR 6-year old face is NOT hairy, but your surfer-dude’s face is!) HA! I want my kiddos to be able to explain their work. Not just that we made some surfer dudes and dudettes. But that we learned about adjectives. We know how to describe things and ourselves. That we wrote about it and those surf boards held by our little surfer-selves contain lots of details about us. It’s hard to tell in the pictures with all that glare, but this bulletin board is labeled with a header that matches the theme of the board. The more interesting your bulletin boards, the more invested your students will be in creating things to be hung upon them. “If you don’t finish (because you are too busy playing around with things in your desk) it won’t go up” is a fabulous motivator. So that’s how I use crafts as a culminating activity in my room. They are almost always used after a unit to highlight their new knowledge. What we do in class should be as fun and engaging as possible. In my experience, remaining focused on an objective for a period of time is the best way to achieve mastery of a new concept. You can check out more about All About Me Adjectives in my store. 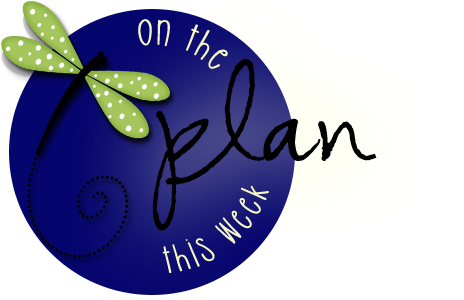 The little reader that comes with All About Me Adjectives is on my plans for next week. I am spending more time focusing on character next week with The Golden Ruler resource and I like to use this reader to bridge these two concepts. I hope this helps some of you not sure how to incorporate the crafts you want to do while coping with District, Administration and curriculum demands. What a fun project for adjectives! Makes a great display and I know the kids must have loved making them! So cute! I agree that children need practice with cutting and gluing. I think crafts are so important!